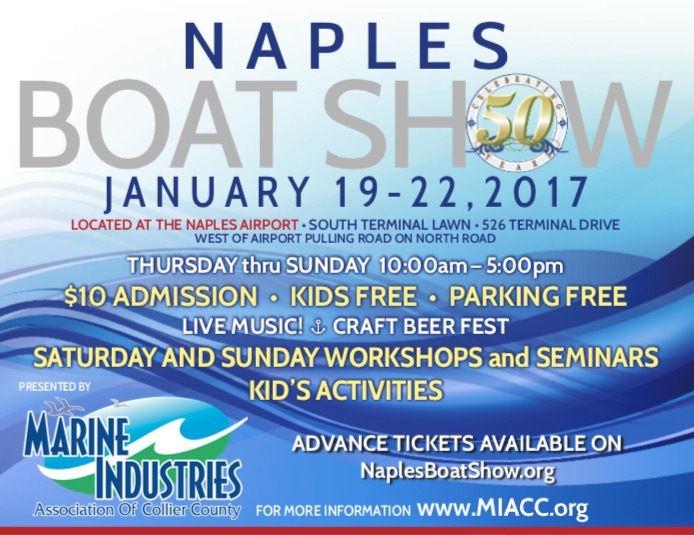 Entering its 50th year, the Naples Boat Show will be overflowing with the newest boat lines and maritime products and services for all. The event will host nearly 150 exhibitors from around the world with an exceptional assortment of boats of every type and style, plus a wide variety of accessories, equipment, electronics, gear and services for boaters. Red Rum International will be selling their awesome line of performance shirts, hats and stickers. There will also be live music on Thursday and Friday. Coastal Angler Magazine will also host the seminar tent again this year featuring Captain Rick Murphy of Florida Sportsmen Adventures and other great local guides. “We’re excited to celebrate our 50th Anniversary of this great Naples tradition” says Show Director, Tiffany Sawyer-Schank. “In today’s age things come and go but the boating industry in Naples is a staple and what this town was built on so I am proud to be a part of the 50th year of the show. Tickets are available online at NaplesBoatShow.org. Tickets are $10 per adult, and kids 12 and under are free when accompanied by an adult. Free parking is available at the Naples Airport. The Naples Boat Show will take place from Thursday, January 19 to Sunday, January 22 from 10:00 a.m. to 5:00 p.m. daily. A group of islands that are located at junction of the two mighty bodies of water namely the Atlantic Ocean as well as the Gulf of Mexico; Florida Keys do present very idyllic and a varied playground for thousands of paddlers of all the stripes. It is situated at southernmost tip of the United States of America. The archipelago has more than one thousand seven hundred islands which trace a very elegant arc from the just outside of the Miami all way to the Key West, and small distances between each of the individual keys do make all of them perfect and ideal for the day trips as well as the back-country tours. The Key West kayaking tours are loved by many travellers. For more skilled paddlers, the Curry Hammock State Park key to the Molasses Key is very popular. The fifteen mile that is the twenty three kilometres offers many places to have rest such as the lazy Sombrero Beach in the Marathon as well as the labyrinth of the mangrove tunnels of the Boot Key. Many multi-day tour trips are also been catered to via a network of the waterfront hotels, the campgrounds and shuttle services provided by the kayak rental firms. Main route from the John Pennekamp State Park to the Key Largo and then to Fort Zachary Taylor Historic State Park in the Key West takes in one hundred and eleven miles of the meandering coastline is populated by the manatees over simple ten day paddle. Author, Riyadh Jain, Jr. specializes in writing about Kayaks, Canoes, Key West kayak tours, key west kayak, Key West kayaking tours, florida keys paddleboard rentals, florida keys SUP paddleboarding tours & Key West SUP rentals subjects. In ancient history, fishing can be an occupation chiefly towards coastal area people. After we mentions about fishing, first thing comes into our thoughts are the man inside a boat which includes a rod to catch fish. The easiness in this imagination shouldn’t be much when it reaches in reality. Its as it takes ideal skill intended for catching the fish. Apart from talent, patience & concentration will be the leading requirement needed designed for it. The occupation has become expanded as a vast industry that categories of fish products are going to be being produced for all over the world. Like that it has some other end mainly intended for entertainment. Including both younger and elder ones prefers fishing on the leisure time because it fills with joy and efficiency. A perfect fishing greatly is determined by the nature of a location. Widely coastal or else coral islands are going to be leading sites for fishing. Such a good one is Florida Keys. This is principal coastal island which comprises of 4 main coral archipelagos including Upper Florida Keys, Lower Florida Keys, West Keys and the Middle Florida Keys. They have charters boats Florida that makes it possible for the customers in all ways. The charter facilities main duty is to give assistance and tips for a secure fishing. All the security measures will be supplied by the charter services Florida Keys. Islamorada is more wonderful backcountry watery sector in Upper Florida Keys which includes cornucopias of fishes. Fishing sports are of two types in Florida Keys- Deep Sea fishing Florida Keys and Inshore fishing. Deep sea fishing is principally for catching large fishes like sword fish, shark and the like. The fisherman otherwise the participating group have got to need high strength & concentration power intended for parting in it. It is because the fishes will truly fight strong to escape. The charter amenities give guide help for them in the course of the game. This method of fishing may be also referred to as flats fishing & the principle accessory involved could be the angler. Another type would be the inshore fishing that offers from the catching of small fishes like tarpon, bone fish and the like. The strategy used for this bone fishing Florida Keys is known as fly fishing. This involves the equipments like artificial flies, fly rod, fly reel etc. The other necessary services are the boat rentals Florida Keys and boat rentals Islamorada. This kind of services supply boat for rent according to the customer requires. The boat rental Florida Keys own boat sizes ranges from small one to big ones. The tiny ones don’t have much facility like big yachts while these have less charge. It is mainly utilised in bone fishing. The big yachts are of great advanced one comprising of all planning like bathroom, front room, fishing accessories and the like. Therefore it is vitally expensive. 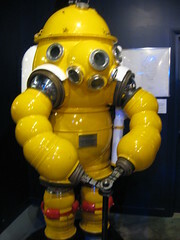 This is especially used for deep sea fishing. Boat rental Islamorada supplies the service from the day afternoon to the whole next day. The charter facilities here as well make available food and accommodation to the tourist. There also present activities for kids and women for spending the leisure time. Florida Keys is known for its laid back attitude similar to the ones in Caribbean islands. Apart from being known for its tourist attractions, Florida Keys is quite famous for eatery outlets, the popular ones being the Indian and Italian restaurants. Italian dishes have fast become popular worldwide over and Florida Keys is no exception. People here love Italian dishes with restaurants serving a wide range of dishes from pasta to spaghetti, a household favorite. Italian food might not go down well with every eater as some of the aspects such as it being a little too spicy and containing seafood is a displeasure. When viewed as a whole, Italian dishes have worked magic with even hesitant people changing their taste buds to try them out. Italian food is incomplete without desserts and Tiramisu is one big favorite at any Italian restaurant in Florida Keys, FL. Many Florida Keys residents are seen enjoying their weekend at the Indian outlets with curry being the most ordered of all the food stuffs. The big number of Indian food restaurants are witness to the fact that Indian curries are loved the most. There are many skeptical minds that have prejudiced thoughts as Indian curries being a spicy lot, which is partially true as there are curries that are milder and one can have it without a second thought. The Indian subcontinent being a large landscape, the variety in preparatory methods is evident in the dishes prepared and this variety combined with unique flavors adds to the popularity. Mexican food is no far behind in terms of popularity and Florida Keys now boosts of a number of Mexican restaurants lined up across the city. Tacos, burritos and fajitas are most common of the dishes to be found in any Mexican restaurant in Florida Keys, FL. What works in the favor of Mexican food is the fact that most cuisines are perfect blends of the simple with the exotic, mild with the spicy stuff, and flavor with nutrition. Traditionally Mexican dishes are a bit spicy and to suit the taste buds of the locals, most restaurants tone down the flavors. Not ignoring the chain restaurants that originated in America, popular chain such as Pizza Hut is not to be considered the last of the resorts in search of a decent restaurant in Florida Keys, FL. Looking at the stiff competition that other exotic food restaurants offer, the indigenous outlets are fast changing with the changing taste buds. Restaurant Florida Keys, FL – In search of a restaurant in Florida, Keys, FL? Visit Lazy Days Restaurant and enjoy their renowned seafood dishes. The southwest region extends from Charlotte Harbor in the north to the famous Ten Thousand Islands in the south. It encompasses Charlotte, Lee, and Collier Counties. People come to this part of the state, one of the fastest growing areas in the country, for its favorable climate, abundance of natural areas, wildlife watching opportunities and, of course, because of the region’s legacy as a Tarpon fishing mecca. Tarpon are just one of the many trophy sized sport fish available here, and most of the Boca Grande fishing charters can help you land the trophy fish of your dreams. Growing to lengths of more than eight feet and weighing more than 280 pounds, it is easy to see why the tarpon is one of the most sought after saltwater gamefish in the world. Its habitat is close to the shoreline so fishermen of all types and skill levels can catch them. This remarkably fine creature is a primitive animal and has the distinction of being the only fish with an air bladder. This allows it to absorb oxygen and live in waters with very low oxygen content. You can see them gulp air at the water surface. Tarpon are also called poons, tarpum, sabalo real, cuffum, silverfish or silver king and belong to the bony fish family Elopidae. Their Latin designation is Megalops atlanticus. Roaming these waters are four of the state’s most sought after gamefish, the Snook, Redfish, Spotted Seatrout, and of course the giant Tarpon. Thousands of anglers come to southwest Florida each year for the chance at a grand slam, catching one individual of each species in one day. Both offshore charters that consist of day trips, as well as night fishing trips are available through any one of the many Boca Grande fishing charters available in the area. A Senate committee in Washington has approved opening the eastern Gulf of Mexico to oil and gas drilling, including an area that is rich in natural gas only 10 miles off the Florida coastline. However, a 45-mile ‘buffer zone’ would be established around the majority of the state coastline, with the 10-mile area being limited to the Florida Panhandle. The region was originally protected from oil and gas exploration by an act of Congress back in 2006 as part of a deal with Florida to make available 8.3million acres to oil and gas development in the east-central Gulf. The protected region was to stay off limits to energy development until 2022. However, the Energy Panel has now approved a provision that would end the drilling ban across most of the eastern Gulf waters including an area known as the Destin Dome – an area 10 miles off Pensacola, Fla. and is believed to contain as much as 1 trillion cubic feet of natural gas. The apparent turnaround has been led by Republican legislative leaders and industry backers who feel that the time is right for the exploration to begin. Political opportunity and public backing from residents who believe that the decision is beneficial to the economy of both the state and the country has prompted the issue of drilling off Florida’s coast to move back up the agenda. The main area of controversy has always been whether drilling should be allowed within eyesight of the state’s beaches – a major tourist revenue generator for the state and sacred to both environmentalists and to those whose businesses rely on the tourist industry. However it is now becoming apparent that rising prices at the gas pumps and the prospect of highly paid drilling jobs, oil rig jobs and other oil careers as well as the ability to pump billions of dollars into the state economy is swaying the naysayers in favour of offshore drilling. The proposed legislation would prevent permanent structures being constructed and encourage the development of a ‘roadmap’ for utilities to become more dependent on renewable fuels in years to come as part of the terms and conditions of approval. Critics claim that the restrictions do not go far enough and that drilling constitutes an environmental crisis waiting to happen off the shores of Florida. But new technology introduced by a group of Texas-based oil companies promises that, after initial exploration, oil extractions would be kept underwater and out of sight, thus preserving the sanctity of the beach view over the Gulf and safeguarding the tourism industry as well. Supporters are claiming that expansion would help the state’s economy and provide a hedge against international volatility. They also believe that the Florida program will create an industry with high-tech, high-wage, high-skill jobs with the potential for an economic injection of between US$ 7-10billion for Florida. Jobs wouldn’t just be created in drilling and platform occupations – the supporters believe that the economic impact would start to take effect much sooner with the development of jobs in exploration and surveying as well as other oil jobs. In a few years time, the Sunshine State could be rivaling its neighbouring state of Texas as the oil and gas capital of the US. If you are asked about warm weather and exotic destinations in United States, there is one state that would definitely come to your mind. The state is none other than Florida. It is blessed with an inviting sun, tropical waters and wonderful theme parks. In fact, the best place to visit in Florida is Florida Keys, which is located at the extreme southern tip. Florida Keys is a big chain of beautiful, small limestone and coral islands. Many people refer to Florida Keys as American Caribbean. It offers all facilities that you will find on other islands like sport fishing, snorkelling, scuba diving, sailing, eco-tours, boating and kayaking. You will find many beautiful and relaxing resorts on the island. The people are friendly and warm. Also the restaurants in Florida Keys, FL, are amazing that offer several cuisines on the platter. You will find numerous restaurants in Florida Keys, FL where you can go, enjoy the ambience and relish the good food served. They have everything from appetizers to buffets and meals. There are three sections in Florida keys. There is Upper Keys including the Key Cargo area, Middle Keys including Islamorada area and Lower Keys including Key West and smaller islands. Every section has its own beauty and charm. Key Cargo is know for snorkelling and scuba diving while charter fishing is widely popular in Middle Keys. Islamorada area is the Fishing Capital of the world. You will find wildlife areas and small islands in Lower Keys. If you go to Lower Keys you will come across various boutiques, shops and bars. One more thing that you will come across are the restaurants in Florida Keys, FL, which are located in the hotels that you would be staying in. They look pretty enchanting and offer delicious food. If you do not want to go out and eat, it would not pose a problem because right from yummy breakfast to lunch and dinner there is everything served in these hotel restaurants. However you should not miss out on the tasty crab curry and lobster soups that many corner cafes and seafood restaurants in Florida Keys, FL offer. Experiment a little and try out their yummy starters like spiny lobster and conch. There fresh and local seafood is something you will not find back home. If you go to count there are almost 240 restaurants in Florida Keys. All of them have local specialities made of fish like grouper and snapper. You will experience a quiet and calm atmosphere with a breathtaking view of the Atlantic Ocean. Do not forget to try the authentic lime pie in these amazing restaurants. Restaurants Florida Keys, FL – Looking for restaurants for Florida Keys area dining? Visit Lazy Days Restaurant for the authentic Keys dining experience and the region’s best seafood. 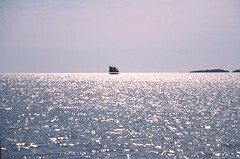 The Florida Keys is one of the most desirable locations for vacations in the United States. With a year around temperate climate and a tropical setting, it offers everything one could want in a Caribbean beach vacation without having to get a passport. One thing that can make a vacation even better than it could have been otherwise is to experience consistently good food. There are a few things you can do to ensure that you find good restaurants Florida Keys, FL. Let’s look at some of the ways that you can find good places to eat on your vacation. A good place to start when looking for good restaurants in Florida Keys, FL is asking friends and family members that have already vacationed there for recommendations. The people in your life that you trust the most are likely to give you feedback based on knowing your tastes and preferences for food. Of course, you’ll want a variety of food on your vacation, so you can compile a list of restaurants that are recommended to you to come up with a number of locations that you can try. Once you’ve compiled this list, you can research each restaurant. You can read reviews and view menus online, as most restaurants have web sites nowadays. Reading reviews from multiple reviewers can help you get a well rounded view of these restaurants. For example, if one restaurant gets consistently great reviews on the food, but the service is lacking, it can help you come to gain an overall expectation for that restaurant should you choose to eat there. Another good way to find good restaurants Florida Keys, FL is to do a general search online, searching even for restaurants that aren’t on the list you’ve compiled. This will allow you to find a few restaurants that may be a bit off the beaten path, which can really be a rewarding experience. Often times, at popular vacation destinations such as the Florida Keys, certain restaurants can foot most of the business traffic. Finding a place that’s a bit less frequented can lead to a very pleasing experience. If you ever have the opportunity to go to the Florida Keys, the food can be one of the most memorable parts of your trip. Having a basic “game plan” for the restaurants Florida Keys, FL that you’ll frequent can help you ensure that you have good memories of your vacation. Restaurants Florida Keys, FL – Whether you are looking for good restaurants in Florida Keys, FL, Lazy Days Restaurant serves wide range of seafood, vegetarian, steak, and chicken dishes.